Playing is an essential part of learning.Your child can love learning through interactive activities. Toys help children understand the world, discover concepts and train their motor skills. When children play the toys, they need observation, analysis and problem solving. Educational toys give your child the opportunity to practice all sorts of physical and mental processes that help them reach their potential. 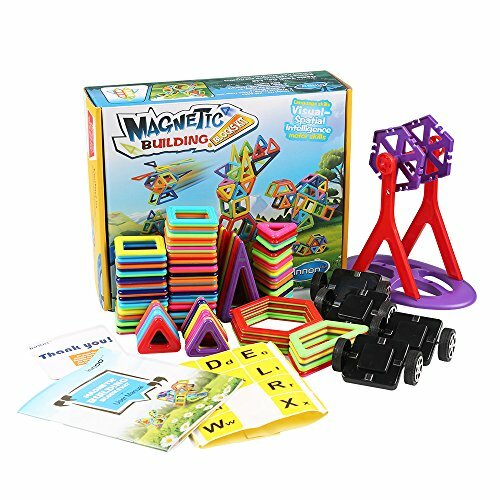 The magnetic building blocks can motivate children’s creativity and brain development. 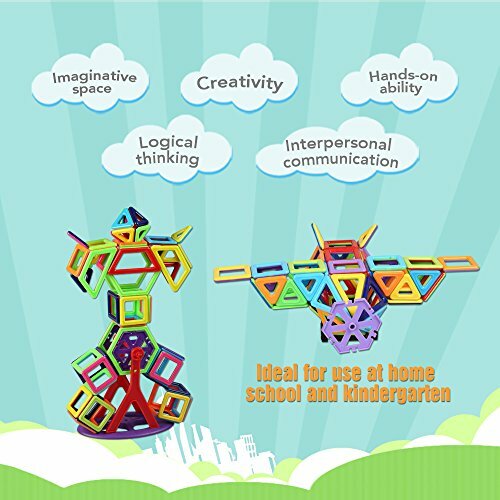 This kit is durable and safe so you can use it again to awaken your child’s imagination. Your child can develop his creativity, imagination and motor skills through play! 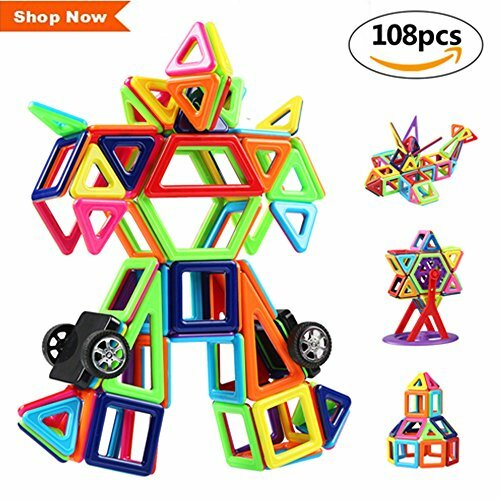 It can not only satisfy the curiosity of the child, also develop their own wisdom and imagination.All children love this magic toy. 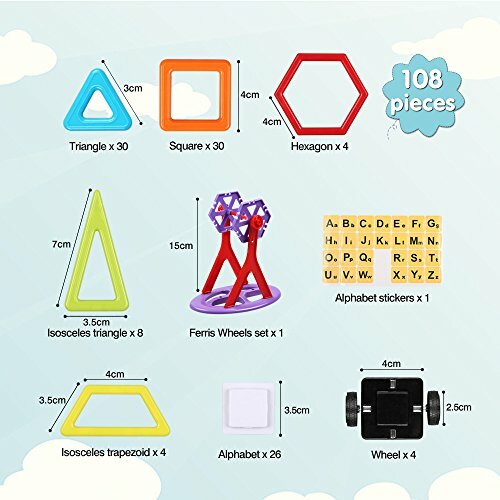 1 x user manual【Educational and Creative】 With this creative toy, your child can stimulate their creativity, imagination and problem-solving skills. 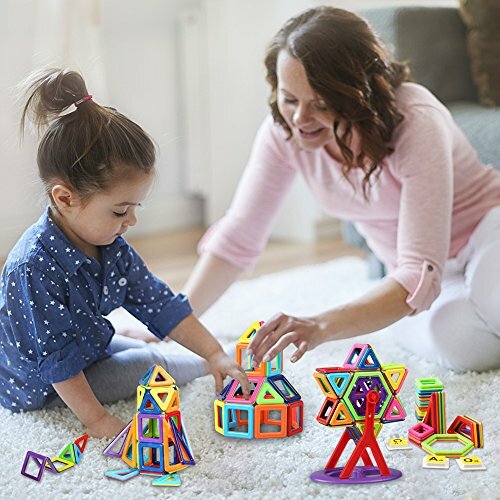 Let your child learn colors and shapes through play. 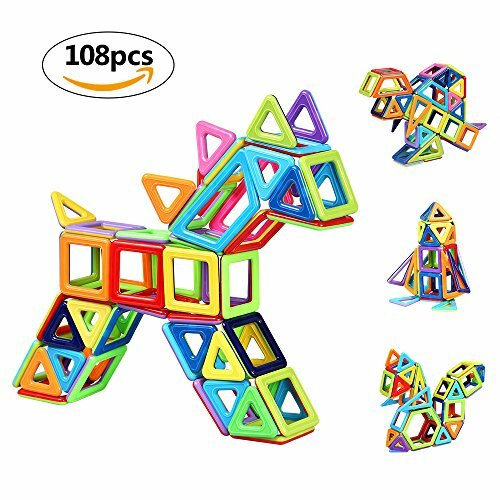 Bright colored piece is very good for children’s visual acuity. 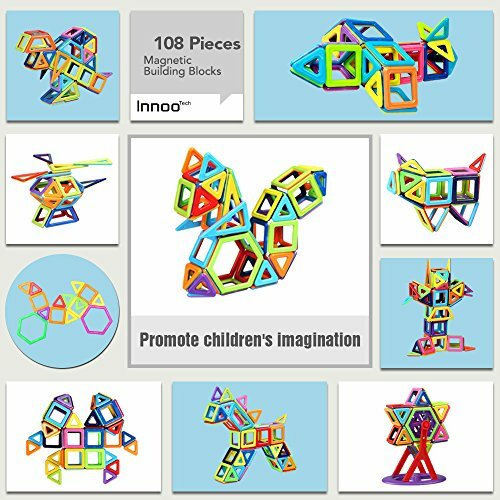 【Safe for kids】 Innoo Tech magnetic building blocks are BPA free and comply with ASTMF 963 and CPSIA. All parts are polished several times and free from sharp edges, so they are safe for children. 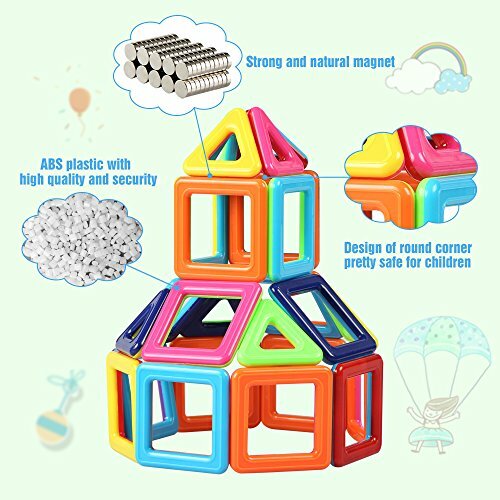 【Durable and strong magnets】 All components are made of non-toxic and high quality ABS plastic. And all the colorful colors were tested by hydrochloric acid and ultrasonically moved to get better tightness. 【Perfect travel companion】 It’s portable and will clean up all the bricks in the nice storage box. Children can play it anytime, anywhere. It also encourages children to become closer to their parents. Children can play this together with their parents. 【100% Satisfaction Guarantee】 Innoo Tech offers all customers a 45-day money back guarantee and a free exchange option. You also get a 12-month warranty and perfect customer service.